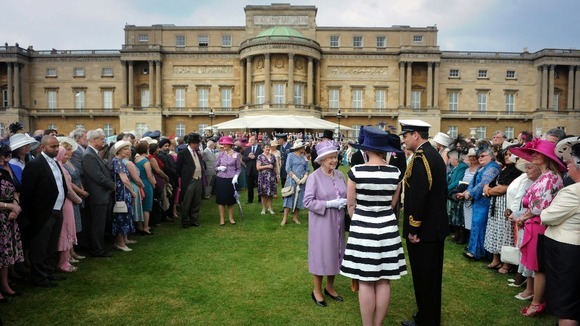 Home » Uncategorized » Royal Garden Party! Congratulations SJ!! What an honor for you and what a great reward for all the work you’ve done with the WIs all this time. It sure sounds like it would be smart to go down the day before so you aren’t all worn out from the bus trip on that day. I know you’ll take lots of pictures and I look forward to hearing all about it and seeing your pictures. WOW! I’m SO EXCITED for you!!! What an honor to be recognized in this way for all you have done. I’m over the top excited for you!!!!! The hat? See if you can borrow one. Keep us posted on this and I look forward to seeing lots of pics of this grand event. Who knows, you may get to shake the hands of royalty. AWESOME! I sure do hope they let us take pictures – sometimes places here are funny about pictures. You know I’ll certainly be prepared, though!